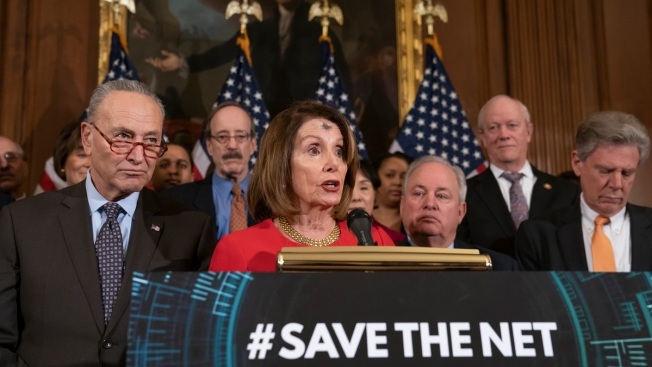 Speaker of the House Nancy Pelosi, D-Calif., joined by Senate Minority Leader Chuck Schumer, D-N.Y., left, announces the "Save The Internet Act," congressional Democrats' plan to reinstate "net neutrality" rules that President Donald Trump repealed in 2017, during an event at the Capitol in Washington, Wednesday, March 6, 2019. 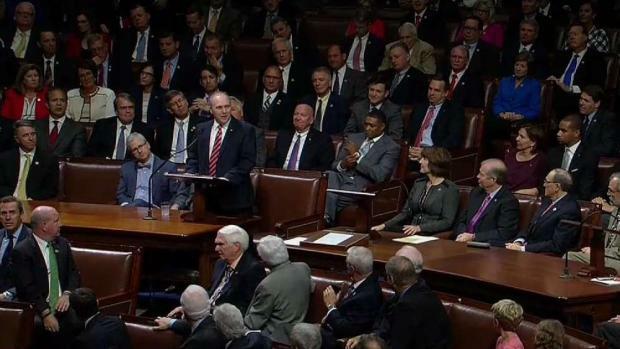 The bill is sponsored by Rep. Mike Doyle, D-Pa., right, with House Energy and Commerce Committee Chair Frank Pallone, D-N.J., far right. Top congressional Democrats have announced legislation to restore Obama-era "net neutrality" rules that seek to bar internet service providers such as AT&amp;T and Comcast from playing favorites with websites and services.